Started: February 2015. Last updated: 24th Sep 2015. This howto guide shows in a few quick and easy steps how to create an app that can run on multiple smartphone platforms. We will use Cordova for cross platform support, Ratchet for Android and IOS native style and Handlebars for templating. Cordova was formerly known as Phonegap before it was donated to Apache and open sourced. A commercial version by Phonegap is available which includes some nice features that are not needed for this howto. Cordova also supplies a set of plugins that you can use to utilise the phones camera, contacts, GPS etc. For detailed installation steps please read my Cordova (Phonegap) within Vagrant for Android howto. It is a step by step guide on installing and setting up Cordova for building Android applications. It optionally uses Vagrant as a means of keeping it separate from your local machine, but you can install everything locally if you prefer. Lets check if you have installed Cordova correctly. If okay lets create a basic scaffold application. Bower can be installed via Node. We then initialise Bower. Set the name to Pizzeria and accept the default for everything else. We then add each library with Bower. A couple of extra libraries will also make our lives easier. JQuery for simple page event handling. Fastclick to support touch click events better. You can keep the application lighter by only keeping the required files inside bower_components. Ie. remove source files and other non dist files etc. But it is often hard to be certain which files are needed so for this howto we keep all of them. Let's just knock up a quick hello world page as tracer bullet to check if everything installed ok. If you installed the Android SDK detailed in my Cordova setup howto, then you can test this hello world on a emulator device. 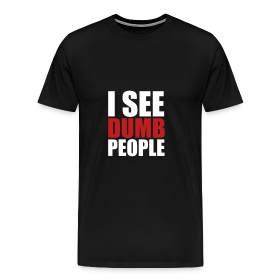 Otherwise I will assume you test it directly from a normal browser as the feedback loop is obviously much faster. Ps: If you test it in Chrome you can open developer tools and click on the mobile icon to enable scaling to different phones. Quite useful. 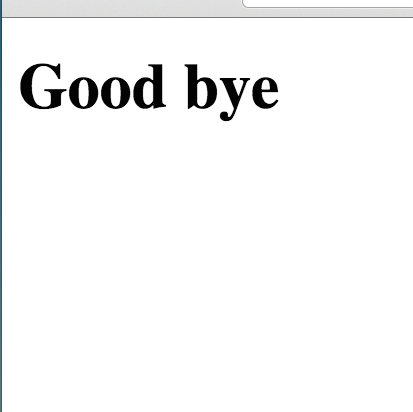 If the page says Good bye all is well. 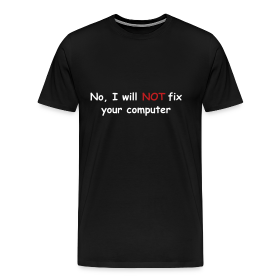 If not check the browser's developer console for errors. If opened in a browser then console 404 errors for cordova.js is expected as that only exists if on a device. The source files for this step is available at github/flurdy/cordova-ratchet-handlebars/tree/master/www-helloworld. 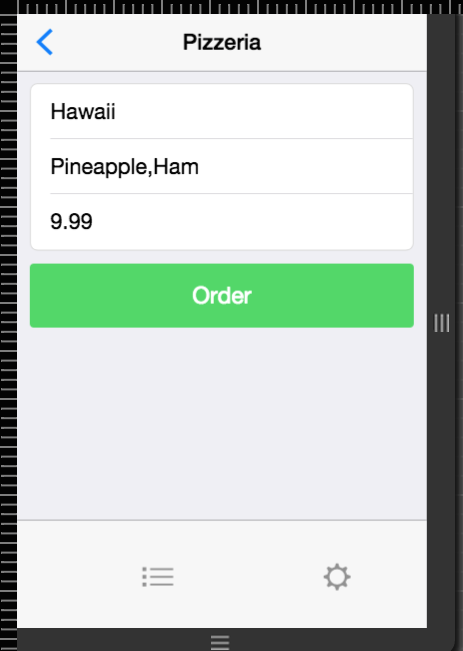 Lets create a simple Pizzeria app as a proper example. 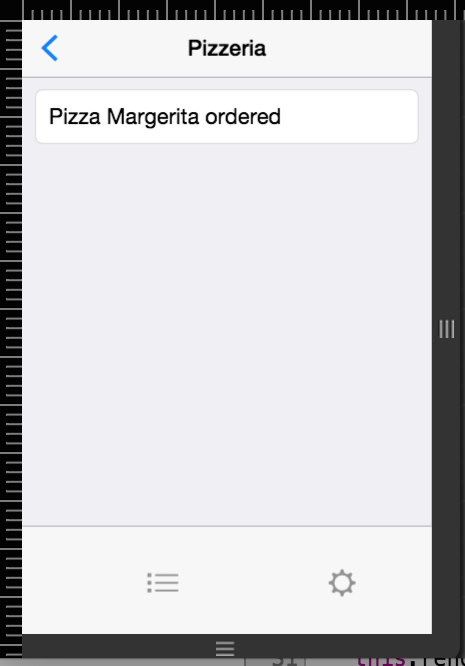 It will list a menu, let you look up some pizza information and let you place an order. 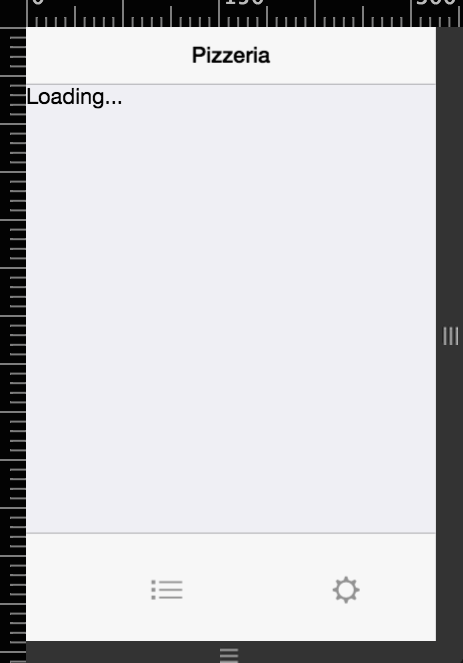 app.js is where we configure our app. If you open this in your browser then you should see a plain loading page with no errors in the console (apart from 404 for the cordova.js file). The source files for this step is available at github/flurdy/cordova-ratchet-handlebars/tree/master/www-scaffold. Add some pizza as data. We modify the PizzeriaView and add a MenuView. Add menu header and content template to the index.html file. Just above the cordova.js script line. This should show a menu list of pizzas on the front page. The source files for this step is available at github/flurdy/cordova-ratchet-handlebars/tree/master/www-menu. One way of interacting with the app is to enable people to click on a pizza to find out more details. We add a PizzaView to the view.js. Include templates for pizza detail. And then modify MenuView to call it when the correct event is triggered. 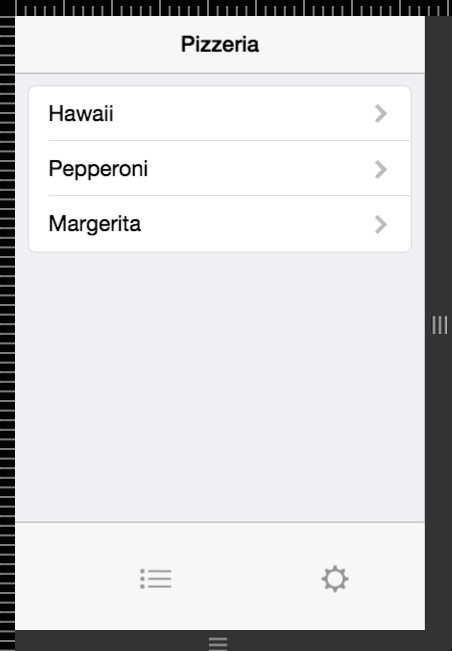 You should now able to list and view each pizza. The source files for this step is available at github/flurdy/cordova-ratchet-handlebars/tree/master/www-details. To order a pizza we need to intercept clicking the order button on the pizza details page. And then show a confirmation page. The pizza details already contains the button and it is wrapped in a form with relevant information in it. Lets add a form submission event handler to the PizzaView. And create a OrderConfirmView as well. Create a confirm page template. You can now order a pizza! The source files for this step is available at github/flurdy/cordova-ratchet-handlebars/tree/master/www-order. Obviously this is just a rudementary example and does not actually order any real pizzas! But it does demonstrate the basics of iterating and displaying collections of data, passing parameters along, and submitting forms.